1. Party at Carpe Diem and Ultra. First of all, no stay on Hvar is complete without a stop at Carpe Diem. While Carpe Diem opens in the morning for breakfast, it really should be known as “Carpe Noctem,” because night is the time to drop by for an unforgettable experience. Hop on a boat and take a quick ride to arrive at Stipanska. There you can enjoy the ultimate all-night beach party as you dance to the beats of world-class DJs. You can take a water taxi back anytime up to 2:30 in the morning, but after that, you need to have your own transportation plan ready. 2. Take a tour of Hvar’s best wineries. While partying and clubbing are big activities on Hvar, there are actually more wine bars than clubs on this island. One wonderful example is the Red Red Wine Bar (TripAdvisor), which you will find at the heart of Hvar city on Kroz Burak Street. Here you can learn all about the history of wine on the island and choose from hundreds of different wines to sample. The seating is cozy, the lights are low, and the mood is romantic. Come here with someone special for an incredible evening. Sign up for our newsletter and we’ll send you easy to follow tips for improving your holidays. 3. Soak up some history at Fortica. If you are ready to learn more about the history of Hvar, take a hike up the hill above Hvar town and visit the fort you find at the top, known as “Fortica.” Constructed in the early 16th century, its high walls offer amazing views of the red rooftops below and the beautiful Hvar harbour. Check out the antiques and artefacts on display, and experience a remarkable outlook on Hvar’s present and its past. 4. Explore the beautiful Pakleni Islands. While you are looking down on the harbour from Fortica, you will also have a view of the nearby Pakleni Islands. This archipelago can be reached by taking a quick ride on a water taxi. Many tours you can book also will take you to the islands. 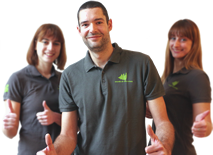 Want to learn more about Palmižana on Pakleni Islands - Read More! Once you are there, you will be immersed in natural wonder which is unparalleled throughout the Adriatic. The dense foliage is emerald green, and the clear waters are turquoise blue, making these islands true jewels in the Croatian crown. This is a great place to get active, paddling around the islands in a kayak to explore hidden beaches or taking a trek through the forest. When you are ready for a different activity, head to the previously mentioned Carpe Diem beach party, or pay a visit to Sveti Klement. Here you can explore a beautiful arboretum along with an art gallery. If you are into history, make sure you check out the Roman ruins at Vlaka in the north. 5. Relax, stroll and sunbathe on Hvar’s breathtaking beaches. Ready to lay back on your beach towel and take in the rays? Hvar and the Pakleni Islands have so many amazing beaches between them that you could point blindfolded and probably choose an incredible spot with no effort at all. But if you are looking for some advice on the very best beaches, one great one to check out is Grebisce. This sandy beach is popular with families because the sand is ideal for making sandcastles—also great if you are an artist. For a different atmosphere and fewer kids, head to Dubovica Beach. Located along the south shore of Hvar, you will find this pebble beach just before Stari Grad. Lined with antiquated stone structures, it is very scenic and features some great restaurants. Nearby, you will also discover Lucisca Beach. Featuring stunning vistas and caves to explore, this beach is great for swimming and is best reached by boat. For something dramatic, venture to Saint Nedilja Beach where imposing cliffs soar skyward from the crystal waters of the Adriatic. Finally, one more beach well worth checking out is Jerolim Beach, considered one of the finest nudist beaches on the planet. There are a few bars here where you can chill and enjoy a refreshing beverage or recline in a hammock. The natural surroundings are incredible as well. 6. Sample Croatian delicacies at Hvar’s best restaurants. Enjoy delightful seaside dining while you are visiting the Pakleni Islands. You will have a beautiful view of the bay under the glow of paper lanterns as you sample fresh seafood delicacies. This would be a great choice if you are travelling with friends or looking for a romantic spot as a couple. This is another restaurant which is right on the beach. You can either eat on the beach itself or on a rooftop terrace with an awesome view of Hvar city. If you’ve been looking for the best burger in Croatia, this may just be where you’ll find it. For those with the budget for some truly fine dining, Divino offers an exceptional Hvar culinary experience like no other. This waterside restaurant offers beautiful views of the Pakleni Islands and serves local wines and authentic Croatian gourmet cuisine. Those are just three of Hvar’s amazing restaurants—there are many more gastronomic gems throughout the island and the Pakleni archipelago. So be adventurous! 7. Tour all four of Hvar’s UNESCO Heritages. Did you know that Hvar is the only island on the planet to boast four UNESCO heritages? Three of these are intangibles: the Mediterranean diet (which we just discussed), the Za Krizen Easter Procession, and Benedictine agave lace. The fourth is a site, the Stari Grad Plain. The agave lace is exactly what it sounds like—a delicate lace made out of agave leaves. If you drop by the Benedictine Convent, you can see fine examples of this beautiful craft (learn more about it here). The Za Krizen “Following the Cross” Easter Procession is a unique event in which six villages participate, and a fascinating occasion to witness if you have an interest in Christianity. As to the Stari Grad Plain, it is an extraordinary agricultural landscape, first cultivated by the Ionian Greeks in the 4th century BC. Today its rich tradition continues, producing olives and grapes. The system of land division in use today is the same one which was developed by the Greeks an astounding twenty-four centuries ago, making this a phenomenal region to explore for anyone who is fascinated by agricultural history. You have now completed the third leg of your journey. Once you’ve visited Hvar, you may wish you could stay forever, but there are more sun-soaked days ahead as you move on to the next leg of your 7 Day Active Sailing Itinerary: Vis! 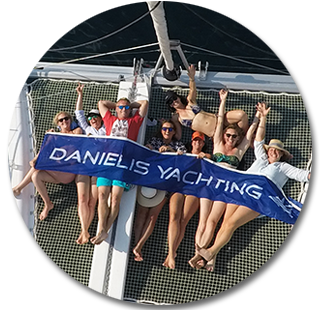 Danielis Yachting was founded by people with many years of experience in nautical tourism in Croatia with the real in-depth knowledge in the field, familiarity with the problems that may occur, and to satisfy our clients. 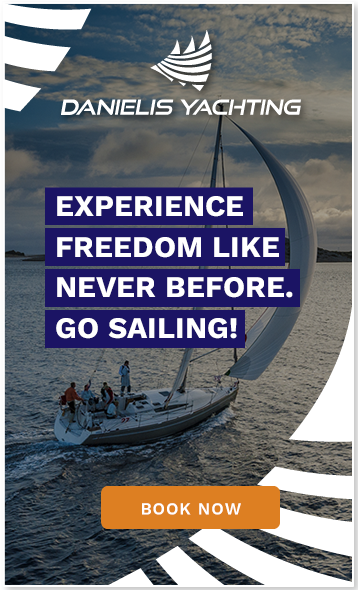 Danielis Yachting Skipper Training 2019. Marin @Danielis - February 10, 2019. What airport to fly to if you are sailing in Croatia? Ana Marija @Danielis - January 14, 2019. Ana Marija @Danielis - December 17, 2018.